Beginning Friday, November 20, folks can head into AT&T and pick up the Galaxy View from Samsung, starting at just $99 on a qualifying agreement. The Galaxy View is a crazy-big 18.4″ tablet that allows folks to ditch the norm, who don’t mind consuming mass amounts of media straight from their lap or coffee table. Given AT&T’s direct relationship to DIRECTV, the company is preloading its TV service on the device, and for a limited time, you can pick up the Galaxy View at a largely discounted rate if you sign up for DIRECTV at the time of purchase. For new customers who sign a two-year service agreement through DIRECTV, you can buy the Galaxy View for just $99. Existing DIRECTV customers that activate a new line with a smartphone on AT&T Next can also get the Galaxy View for $99.99, with a two-year wireless agreement. 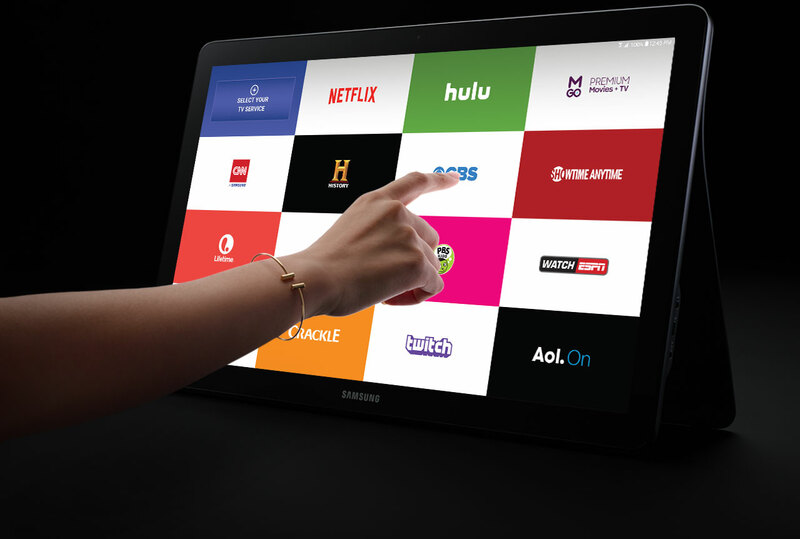 With the large display, accessing over 100+ live TV channels could be enjoyable for many, in addition to the football fans who can watch all of the NFL Red Zone coverage they want, all from the tablet over AT&T’s 4G LTE network. For specs, the Galaxy View features an 18.4″ Full HD display, 1.6GHz octa-core processor, 2GB of RAM, 2.1MP front-facing camera, microSD slot, 4G LTE connectivity, Android 5.1+ with TouchWiz, and a 5,700mAh battery. Again, on November 20, you can grab the Galaxy View from AT&T at $0 down for “well-qualified” customers and $30 per month for 20 months with an AT&T Tablet Installment Plan or $499.99 with a two-year agreement. You can add the Galaxy View to a new or existing Mobile Share Value Plan for an additional $10 per month access charge. For additional pricing and to see the DIRECTV specials, follow the via link below.